Who should apply to be a SEWE Exhibitor? Anyone with products and/or services related to wildlife, conservation, sporting life, nature and the outdoors. Examples: conservation groups, outfitters, knife makers, decoy carvers, woodworkers, furniture makers, potters, leather craftsman, taxidermy, jewelers, photographers, etc. Who should NOT apply to be a SEWE Exhibitor? Companies primarily focused on branded items (i.e. hats, t-shirts, stickers, etc.) Branded items are not allowed to be sold by for-profit companies. Painters, Sculptors and Carvers should apply as artists. Artist applications will be posted online June 1 and will close July 31. For Artist FAQs, click here. Food vendors need not apply. If you have a question about whether or not you are a good fit for SEWE, please email your inquiry to Maggie Howell at mhowell@sewe.com or John Powell at jpowell@sewe.com. 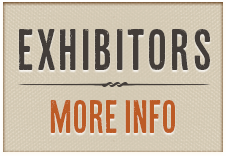 Online Exhibitor Application opens June 1 and closes September 1. Please submit any supporting images representative of the items to be exhibited along with your application. The $35 application fee is nonrefundable and does not apply to a booth fee. If you are unable to submit your application online, please contact the office at 843-723-1748. All exhibitors will be notified of their status via letter or email no later than October 31. If accepted, exhibitors will receive a registration form. Forms must be signed and returned along with the booth fee to reserve your space. Booth fees range from $200 to $600 for individual booths and must be paid in full. Space is not guaranteed until exhibitor has received official confirmation from the SEWE office. Registrations are accepted in the order in which they are received until all spaces are filled. Cancellations must be made in writing and full refunds will be given if written cancellation is received at least 60 days prior to the event. 50% will be refunded if written cancellation is received at least 30 days prior to the event. Cancellation within 30 days of the event will not result in a refund.